Do not let cost be a factor in deciding whether or not to have a home inspection or in the selection of your home inspector. 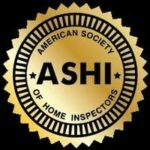 The sense of security and knowledge gained from an inspection is well worth the cost, and the lowest-priced inspection is not necessarily a bargain. Use the inspector’s qualifications, including experience, training, and compliance with your state’s regulations, if any, and professional affiliations as a guide. Definitely! Now you can complete your home purchase with confidence. You’ll have learned many things about your new home from the inspector’s written report, and will have that information for future reference.